Speaker: Robert Smythe is a contributor to the recently published book From Walk-Up to High-Rise: Ottawa’s Historic Apartment Buildings and is the author of the architectural history blog Urbsite. 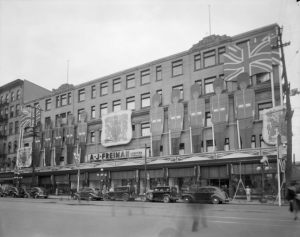 The department store was the product of an increasingly leisured middle class, a new consumer economy and architectural innovations like plate glass windows, electric lights and passenger elevators. 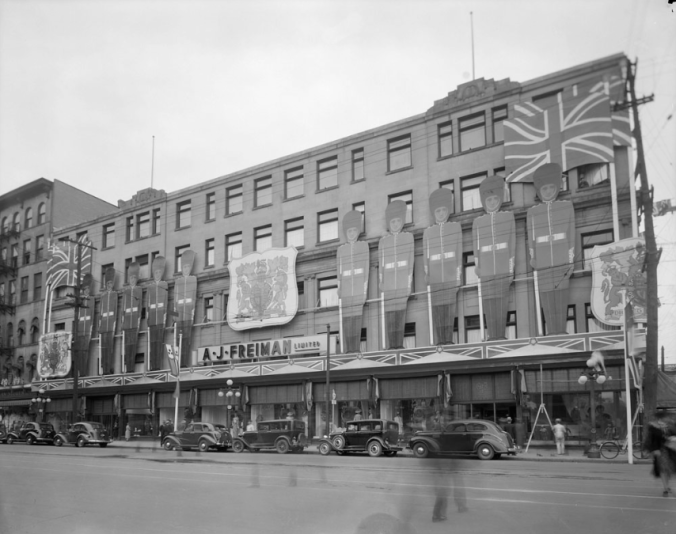 In comparison to the great metropolitan centres, Ottawa’s fondly remembered versions of these emporia of wonders were smaller in scale but equally ambitious and great objects of civic pride. To warm your holiday gift-buying experience, visit stores like A.E. Rea and Co., R.J. Devlin Co., Bryson Graham Ltd., Murphy-Gamble Co., Charles Ogilvy Ltd. and A.J. Freiman’s. You are invited to join us for refreshments. The book will be available for purchase at the lecture. The lecture is free and there is no need to pre-register.